1. Does the course use technology that's reliable and user-friendly? 2. Is the course content engaging and interactive? Many online classes incorporate real-world projects and case studies that require students to practice relevant skills that transfer to the workplace. News articles, social media, and other popular sources can complement academic resources, bring course content to life, and be updated each semester to give a fresh viewpoint on current events. Intentionally blending traditional and nontraditional course content results in a more dynamic learning experience for students. 3. What can I expect to learn from the course? All UNCG classes, including online courses, are rigorous academic experiences. 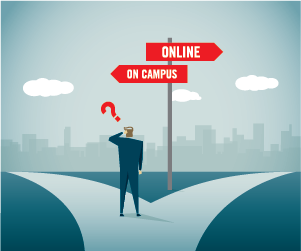 Some online undergraduate courses even fulfill General Education Core requirements, including ones with Speaking and Writing Intensive markers. In every syllabus for an online course, instructors must state student learning outcomes that are specific, measurable, and able to be demonstrated by learners. This gives students a roadmap to where their learning will take them over the course of the semester. To enhance the online learning experience even further, instructors are encouraged to integrate a variety of instructional methods and activities that meet student learning outcomes. This helps students understand exactly what they’ll be learning throughout the semester and just what their instructor expects of their performance. 4. What support systems are in place if I need help? An online course may be phenomenal, but if students can’t successfully navigate the course and its content, quality is lost. UNCG provides a variety of strategies for online students to ensure no one has to go through an online course feeling alone. Certain online programs, like the Bachelor of Science in Integrated Professional Studies, even offer dedicated success coaches to advise students through their academic journey. Other support resources include the Speaking Center, Writing Center, Library Guide, Information Technology Services 6-TECH, and Office of Accessibility Resources and Services. 5. Who developed the course? UNCG’s online courses are developed by faculty who are subject matter experts in their fields. Our faculty have extensive experience in their respective academic areas of study as well as in global industry and the local community. Our world-class instructors often create online courses through collaborations with UNCG staff. This team effort ensures that instructors have a variety of subject matter experts to provide input on course elements like closed captions, transcripts, engaging design, and creative multimedia. Integrating these technologies supports the goal of quality online course design for all. 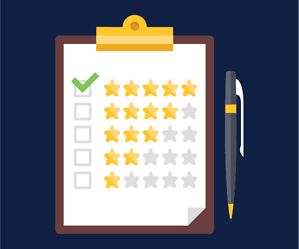 A valuable tool instructors use is the Quality Matters Rubric, a set of higher education standards for ensuring online course quality. Faculty are encouraged to use this resource when re-designing a course from a face-to-face offering to an online format, for example. Comparing online courses to these best practices helps UNCG faculty develop courses that meet learner needs, support retention, and improve student engagement. UNCG’s student population has grown to more than 20,000, and enrollment in online courses continues to climb. As our online offerings expand, a constant remains—our commitment to course quality. 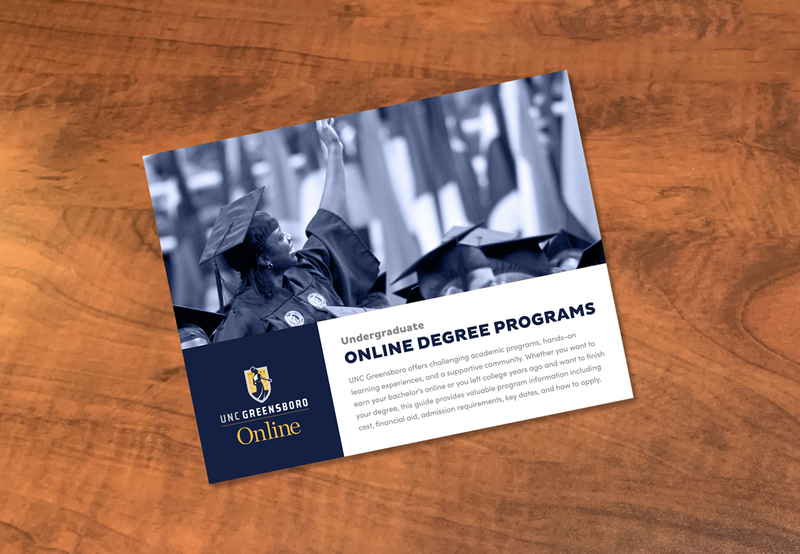 Technology, curriculum relevance, focus on outcomes, student support, faculty experience, and campus resources all contribute to the exceptional online classes offered by UNCG. A high-quality online learning experience is only a click away. Explore UNCG’s online undergraduate and graduate degree and certificate programs at UNCG Online. 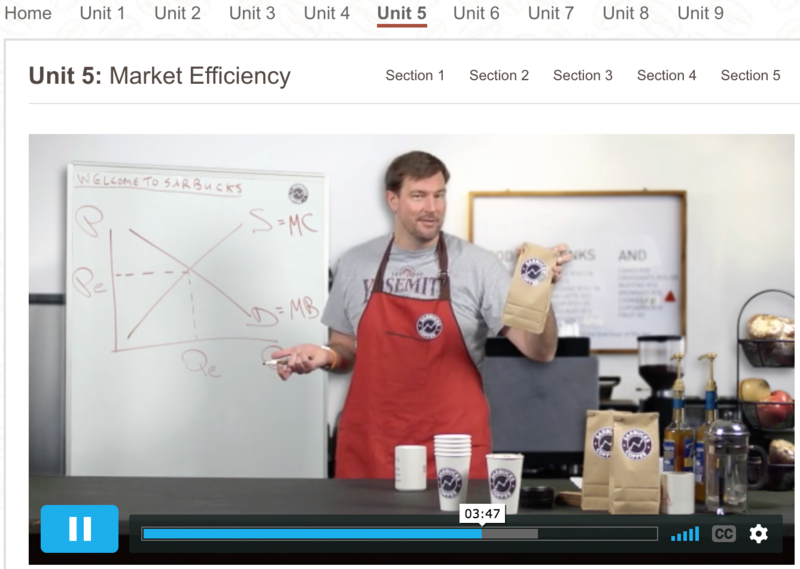 With so much demand for ECO 201 (Principles of Economics), faculty member Dr. Jeffrey Sarbaum needed a theme for the class that would allow students to relate the course elements to their real-world experiences. A coffee shop narrative was the perfect fit.